Fruity Jello shots are a great way to add a little zest to your summer party. These edible cocktails stand out and are super easy to make. 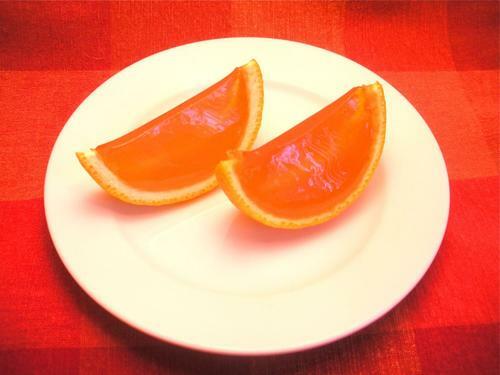 Keep in mind when you make fruit filled Jello shots, you want to hollow out the entire fruit first and only cut slices once the mixture has fully set. Otherwise you'll end up with a mess and a headache. These boozy jelly shots are fun to make and even more fun to eat. These amazing caramel apple Jello shots do not come from a box. Unflavored gelatin is mixed with butterscotch schnapps, sugar, coconut milk and caramel hot chocolate mix to make the luscious golden brown shot. The mixture is poured into hallowed out green apples to create the caramel apple effect. These jellified lemon meringue shots are perfect for summer gatherings. The light and refreshing lemon flavor mixed with whipped cream flavored vodka is destined to become party fare. When you're new at making Jello shots, it's always best to start with the classics and nothing is more classic than vodka and orange juice. These screwdriver are simple, straightforward and will be a winner with your guests. Strawberry daiquiri Jello shots will be a guaranteed hit at your party. This edible cocktail pairs sweet strawberries with strawberry Jello that's been spiked with rum and orange liqueur. 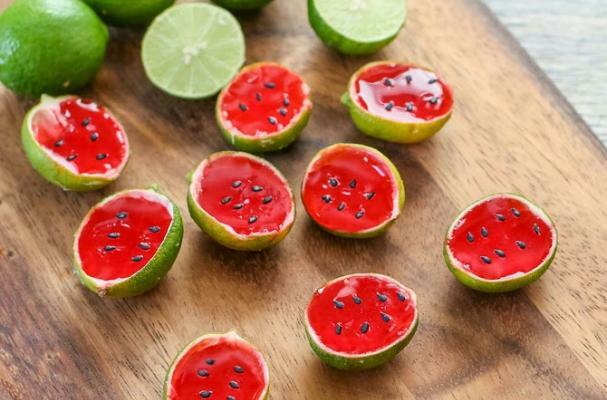 Aren't watermelon Jello shots the cutest little cocktail that you ever did see? These shots are made with tequila and meant to replicate the classic tequila shot with salt and a twist of lime.